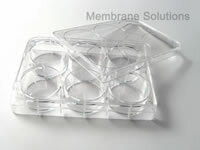 MS® Cell and Tissue Culture Plates are available with 6,12,24 and 96 well plates. Surface treated or non-treated. Produced conform to the SBS-3d-standard and Manufactured of (USP class VI) virgin polystyrene to eliminate all extraneous materials and ensure the integrity of your cells.